Most cars made in the last ten or fifteen years can be unlocked with a keyless remote, and once you get used to them, unlocking your car with a traditional key feels like a pain. The most common reason they stop working is just because the battery needs replacing, but when they're broken for real, a new one can cost a small fortune. So before you go out and buy one, try this quick fix that worked for Redditor diggalator, and cost absolutely nothing. Basically, he pried the remote apart and took out the board, noticing that the 'Lock' and 'Unlock' buttons had come loose. 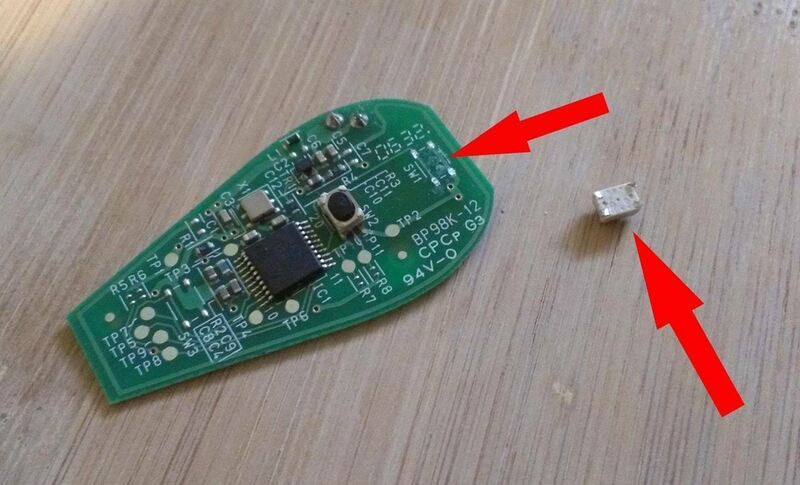 All it took to fix was a few tiny drops of solder (and a soldering iron, of course), and when he put it back together, everything worked perfectly again. Talk about simple! The best thing about this fix is that it takes less than half an hour and can save you a bunch of money. Plus, if you have the equipment, it doesn't cost a thing. You can find more details and photos here. That's really slick! A buddy of mine runs a chip keys website - I'm going to suggest that he include a piece on the website for the more technical crowd that includes this info; how friggin' handy! Thanks for posting this. I had a similar experience with the keyless remotes for my 2001 Nissan Pathfinder (FCC ID:KBRASTU10 Model /A). Both of the original remotes failed after several years (just long enough to be out of warranty), plus two more I bought online (which were from salvage) did the same thing. It turns out this particular remote model was switched out mid-production (obviously because of problems) so there are a limited number of Nissans affected and not enough for the after-market replacement outfits to get very excited about supporting. 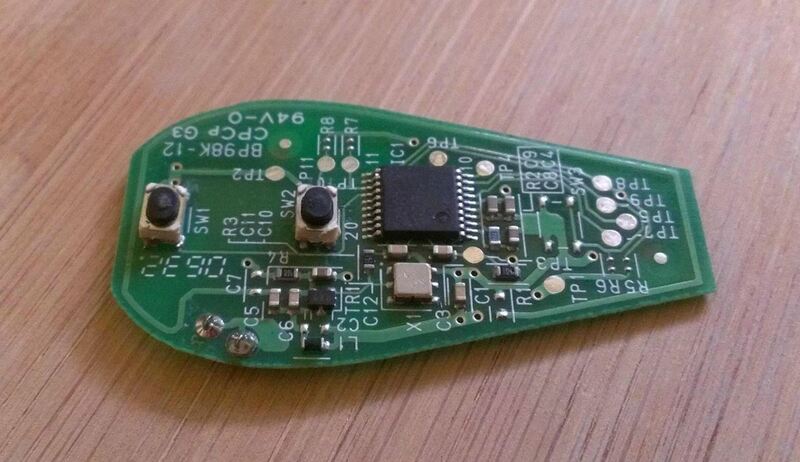 What I found on these remotes is the micro switch had not completely become unseated from the board. Instead, one of the solder joints must have cracked just enough to cause an open, so using a soldering iron (really cheap one from Harbor Freight) I reheated the joint with just a little bit of fresh solder. Between the open and close switches there are 4 solder joints and I don't know which was the problem so I just hit all 4 of them and bingo - all these remotes are now functional again. I also had a similar problem with the in-dash digital clock and came across YouTube video with instructions to do this same thing to one of the chip capacitors on the that board and it fixed that problem as well. What I suspect the problem is the solder used in the manufacturing must get brittle (or maybe very resistive) over time, and this simple fix of reheating the joint with some fresh solder does the trick. Sorry for the TMI on this but for anybody like myself that has had these problems, knowing about this is very helpful. Thanks again! Bought a 97 eddie Bauer ford expedition several years ago. About a year after buying i found remotes under the seat. Dealer had shut down but never told us about any remotes. Well i have replaced batteries and tried several fix it . And i still can not get remotes to work. Any suggestions please. 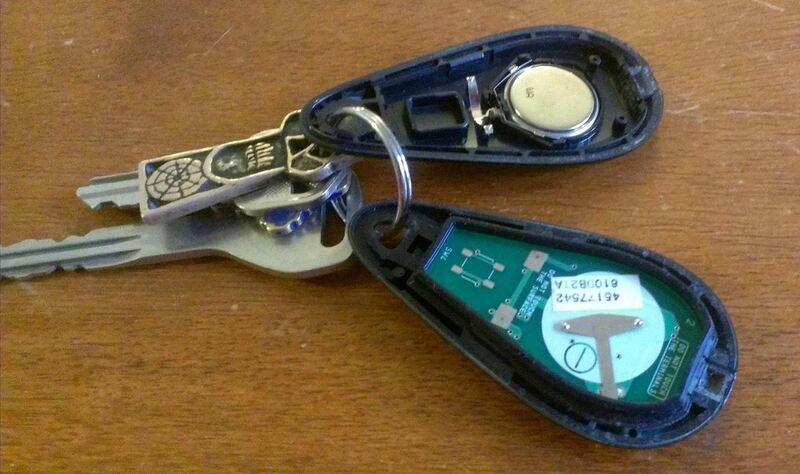 *I have a 96 Buick, the remote was working this mourning, but now the "lock, and unlock" doesn`t work, have read ways to fix it on here, ....after using a magnifying glass to look for any type breaks, unable to find them. Any suggestions from anyone?